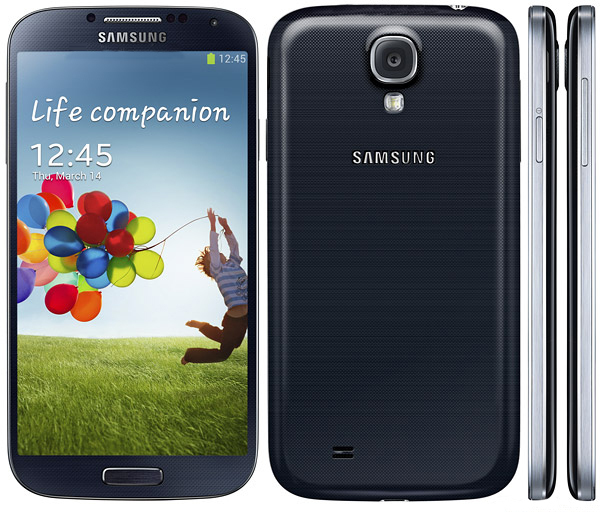 Samsung GALAXY S4 features 5-inch Full HD Super AMOLED display with 1080x1920 pixel resolutions having 441 ppi. The display is scratch resistant with Gorilla Glass 3 and has a glove-friendly screen which also has option to alter display colour tones. 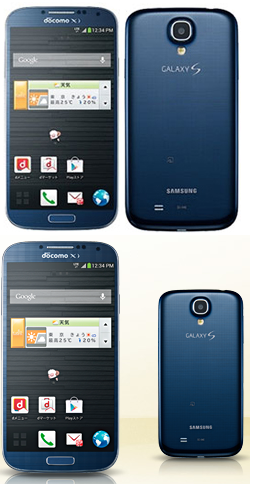 The GALAXY S4 is powered by 1.6 GHz Octa-Core processor with 2GB RAM. 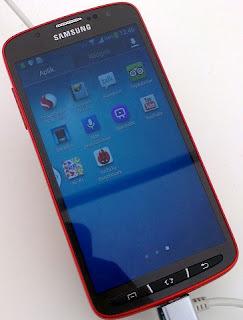 It runs on Android 4.2.2 Jelly Bean OS with TouchWiz UI. It equips 16GB of storage, expandable up to 64GB with a microSD card. Samsung GALAXY S4 sports 13 MP rear camera with Auto Focus, Flash and Zero Shutter Lag and 2MP front-facing web camera. It requires Micro-SIM for its functioning. It has a plastic body with sides have a faux-metal finish and has three sensors and a front-facing camera near the earpiece. Connectivity and Expansion options includes Wi-fi, GPS with GLONASS, NFC, Bluetooth 4.0, IR LED (Remote Control), MHL 2.0, micro-USB port and 3.5 mm jack. Sensor options includes Accelerometer, Proximity, Gyro, RGB light, Geomagnetic, Barometer, Temperature and Humidity, Gesture sensors. Other features includes Group Play, Story Album, S Translator, Optical Reader, Samsung Smart Scroll, Samsung Smart Pause, Air Gesture, Air View, Samsung Hub, ChatON, Samsung WatchON, S Travel (Trip Advisor), S Voice Drive, S Health, Samsung Adapt Display, Samsung Adapt Sound, Auto adjust touch sensitivity (Glove friendly), Safety Assistance, Samsung Link, Screen Mirroring, Samsung KNOX (B2B only). metallic body and bolts design capable of covering and protecting the ports as well as the smart phone's quad-core interior from water and dust entry. Tags:Sg4,sg4 Active, sg4 Zoom, Samsung GALAXY S4, Samsung Galaxy S4 Active, Samsung Galaxy S4 Zoom, Samsung GALAXY S4 features, Samsung GALAXY S4 specifications, Samsung GALAXY S4 review, Samsung GALAXY S4 details, Samsung GALAXY S4 availability, Samsung GALAXY S4 specs, Samsung GALAXY S4 images, Samsung GALAXY S4 pics, Samsung GALAXY S4 pictures, Samsung GALAXY S4 imgs, Samsung GALAXY S4 price,Samsung GALAXY S4 Network options, Samsung GALAXY S4 Expansion options, Samsung GALAXY S4 multimedia features, Samsung GALAXY S4 Sensor options, samsung galaxy s4 i9500, Android OS smartphones.